Melony has 17 years of experience in the Real Estate Industry with 5 years as a Real Estate Assistant for a major investor/developer, handling transactions across the United States. She has a wealth of experience involving water rights, rock quarries, wetlands, mineral rights, eminent domain and land lock issues. For the past 12 years she has been specializing in commercial leases, build-to-suits, medical offices, gas station properties, retail strip centers, warehouses and commercial bare land. Working through the clean-up process associated with gas stations, Melony has gained extensive knowledge in this area, not to mention a great rapport with D.E.Q. in Eugene, along with several environmental consultants throughout Oregon. Melony has earned the coveted Certified Commercial Investment Member (CCIM) designation from the CCIM Institute, one of the leading commercial real estate associations in the world. 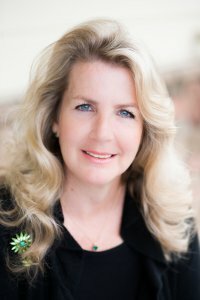 She is now 1 of 5 women in Oregon who currently hold a CCIM designation. She also holds a GRI Designation (Graduate Realtor Institute). Local community involvement is important to Melony. She is currently active as a member of the Roseburg Multiple Listing Service, the Board of Realtors, Douglas County Industrial Board, Advisory Committee for ODOT and Umpqua Community College Foundation Board. Her past memberships include 6 years as the Roseburg High School Booster Club Secretary and the R.A.T.T Group (Roseburg Area Think Tank), which was primarily developed to bring in manufacturers and distribution with the main goal of providing new jobs to Douglas County. If you are looking for someone to assist you with commercial real estate, large or small, please give Melony a call!